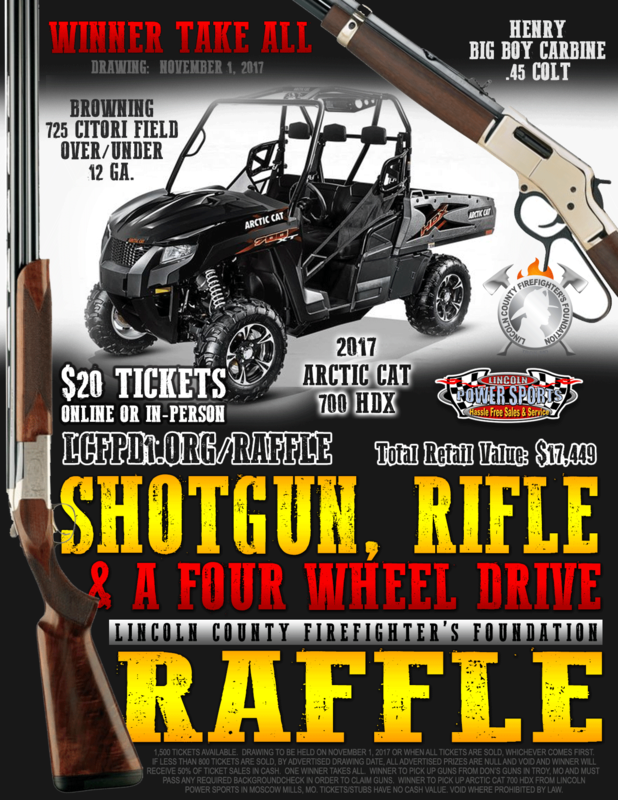 The Lincoln County Firefighter’s Foundation is holding a “Shotgun, Rifle and a Four Wheel Drive” raffle. Items to be raffled include a 2017 Arctic Cat 700 HDX from Lincoln Powersports, a Browning 725 Citori Over/Under shotgun and a Henry Big Boy .45 Colt rifle from Don’s Guns. A grand total of $17,445 prize! One winner takes all! The Lincoln County Firefighter’s Foundation focuses its charitable efforts on Lincoln County kids. Scholarships, Adopt-A-Family, fire victims, basic needs, and so much more. Raffle tickets are just $20 each or get 6 tickets for $100. Available in-person or online here. All proceeds benefit Lincoln County Firefighter’s Foundation.